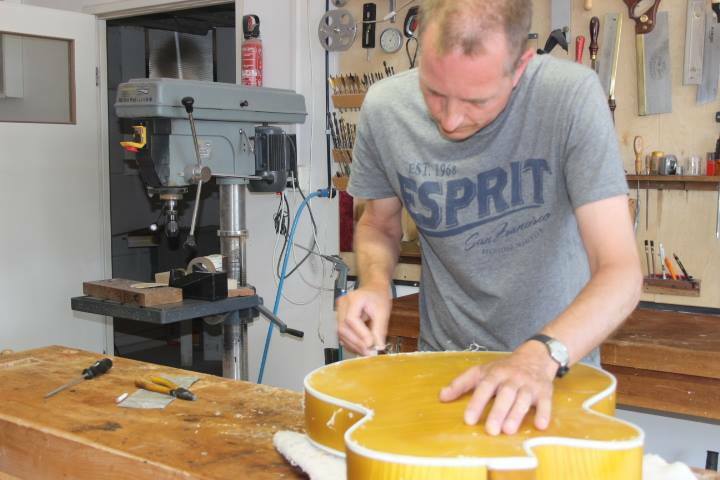 I once put a guitar on a scale to measure its weight before and after having it finnished. To my surprise (I do the finish as thin as possible) the increase of weigt was about 150 gram. 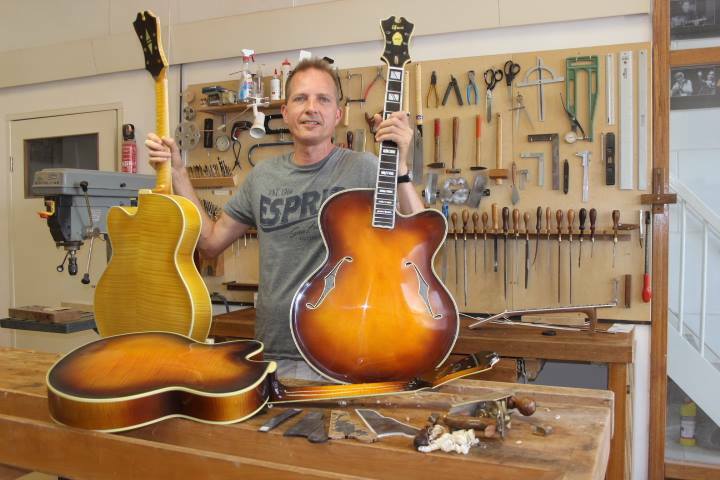 A short calculation learns that with a total surface of 0,5 square meter for an average archtop guitar and a density of the lacquer of 1,2kg a liter, the thickness of the finish is in the range of 0,2mm. 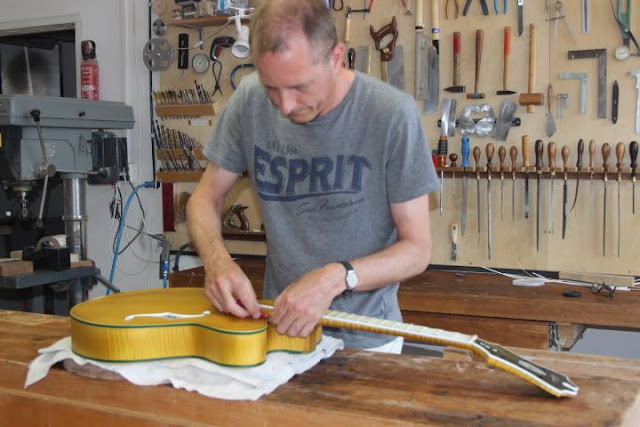 Some manufacturers do it the quick and dirty way, color the guitar and spray it with a 1mm thick finish. 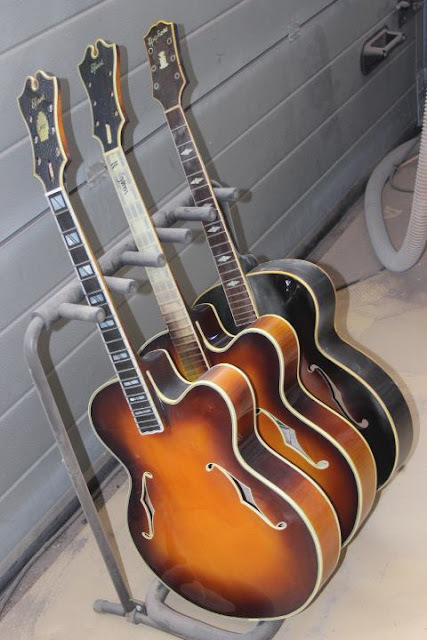 The Lacquer of such guitar can easily be 10% of the weight of the guitar and will increase the stiffness and sound absorption which will have a negative effect on the acoustic properties. The pictures shows the 3 Excalibur 18"guitars I am building right now, just after doing the finish.